In many countries of the world handshaking is treated as civilized greeting, warm welcome. It’s also regarded as a sign of respect among friends and business partners. Hence, to some people if you do not give a clear reason why you cannot shake hands they can easily take offence. However, to top Kenyan CEO, Bob Collymore the case is different, he would love to shake your hand but he can’t because of medical reasons! 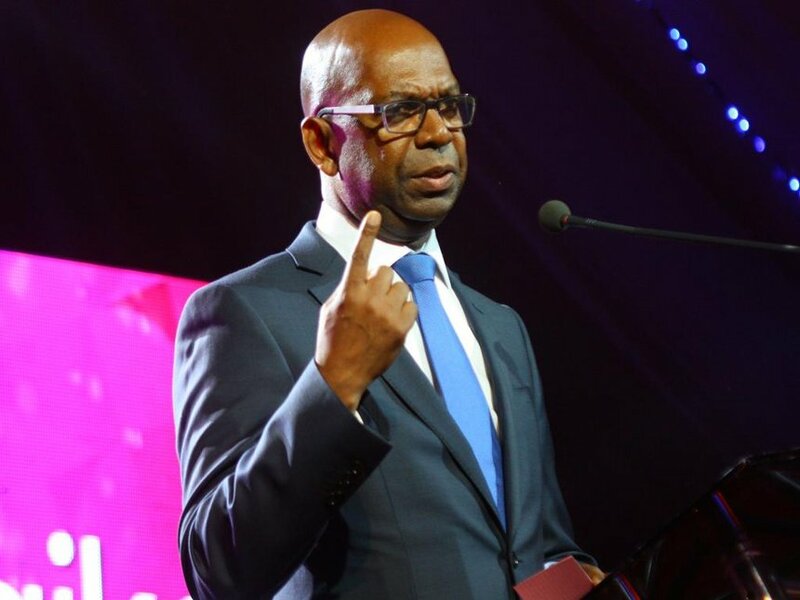 Speaking to KTN’s Abby Agina during a recent interview, Collymore disclosed that he can’t shake hands due to his low immunity. “Because of my immune system I can’t interact with many people, I can’t shake hands,” said Collymore. The Safaricom CEO further revealed that his condition does not allow him to mingle with large crowds. So how does he maneuver at home and while at work? Collymore revealed that since he was diagnosed with cancer, his wife and a friendly team at his office have been very supportive in helping him manage the condition. “My wife is very supportive,the fact that she came to London and lived through some pretty miserable weather to watch her husband receive treatment…100% support not 99%,” he said. In August last year, he first spoke of being diagnosed with acute myeloid leukemia to Citizen TVs Jeff Koinange after he was away – London- for almost a year. According to him, after feeling unwell for sometime, he was first misdiagnosed with vitamin D deficiency in Nairobi before flying to London for further examination. It’s while at London that doctors confirmed he had a rare type of blood cancer but curable. Consequently, he was put under chemotherapy for nine months. Months later, he is on his feet running one of the most successful companies in Kenya which recently launched an M-pesa product dubbed Fuliza service that has seen Kenyans borrow over 6 billion within a month. According to Cancer Organization, Acute myeloid leukemia is a cancer of the myeloid line of blood cells, characterized by the rapid growth of abnormal cells that build up in the bone marrow and blood and interfere with normal blood cells. Most often, AML develops from cells that would turn into white blood cells (other than lymphocytes), but sometimes AML develops in other types of blood-forming cells.